Obituary – Lyhane, Daniel Eugene « Perry High School Alumni Association, Inc.
Daniel E. Lyhane, age 88, long time resident of Ponca City, passed away Friday, October 19, 2018 in Bartlesville. Friends and loved ones may pay their respects at the funeral home from 4-8pm Monday, October 22 and from 8am-8pm Tuesday, October 23. A funeral ceremony to celebrate Daniel’s life will be held at 10:00 am, Wednesday, October 24, 2018 in the chapel at Trout Funeral Home & Crematory. Following the ceremony, he will be laid to rest at Resthaven Memorial Park in Ponca City. Arrangements are under the direction of Trout Funeral Home & Crematory. Daniel was born on December 21, 1929 to Eugene Stanley Lyhane and Anna May Goodwill Lyhane in Perry, OK. 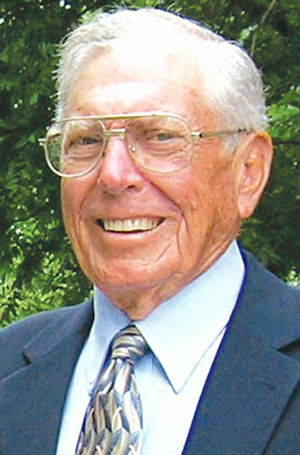 He was raised on the family farm northwest of Perry and graduated from Perry High School in 1948. Following high school he worked on the family farm and in the oil field before he was drafted to serve in the Army during the Korean Conflict. Upon his discharge, Daniel attended Central State University earning a degree in accounting. While at Central State, he was the first student to be awarded the Milton L. Bast Outstanding Student in General Business Award. 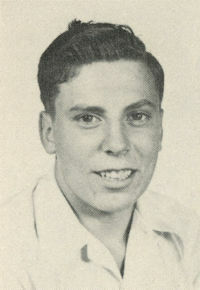 During his time at college, he met his wife Ruth and they were married shortly thereafter. Their family grew with the addition of their two sons and a daughter. After graduation from Central State, Daniel went to Tulsa University to work on his Masters Degree. However, the needs of life required Daniel to get a paying job. So, he went to work for Conoco in Ponca City in 1959 as a pipeline accountant where he served for 32 years before retiring in the early 1990’s. After retirement, Daniel was able to give more time to his passion for playing golf with his friends as well as watching over the family farm. Throughout his life, Daniel was an avid OU fan and stayed a bookkeeper to the very end. Survivors include his son: Terry Lyhane and wife Lisa of Oklahoma City, daughter Jennifer Reyna of Stillwater, sister Betty Walker of Gilbert, AZ, grandchildren Matthew Lyhane and wife Dorey of Stillwater, John Sevier of Oswego, Kansas, and Patrick Lyhane of Oklahoma City, two great grandchildren, Sterling James Lyhane and Julia Danielle Lyhane, and nephews David Walker, Scott Walker and Greg Walker. Daniel was preceded in death by his parents, wife, and son Daniel Thomas Lyhane. Memorial Contributions may be made to the Charity Fund for the Poor at St. Damien’s Catholic Church, 8455 NW 234th St., Edmond, OK 73025.